Hey guys after taking some time away from project building I got the hankerin to come up with a cool little half bread. 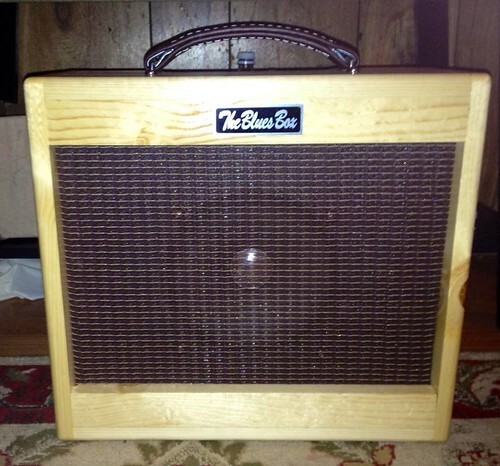 I took a pignose 7-100 L gutted it, built a little champ size cab with a vintage 8' organ speaker, mixed it all up in the blues box microwave and shazam! 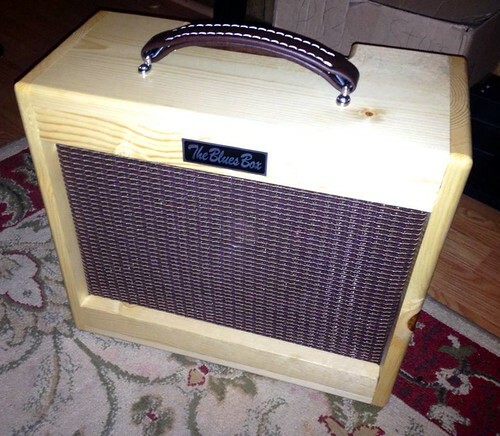 We got a cool little blues box, the bigger cab along with the bigger vintage speaker sounds killer, fattened up the tone and allows for more crank which in turn gives more gritty tone. 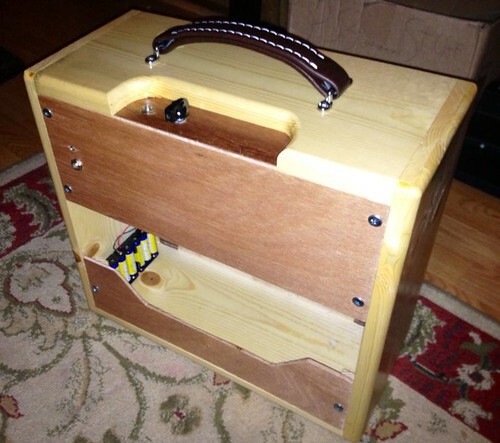 I was going to leave the battery part out and make it hard wired to the wall only, but I figured there are some that would like to use the portability, so I mounted the battery pack and left it portable, there is a jack in rear for ac adapter as well, also has a preamp out for PA use. 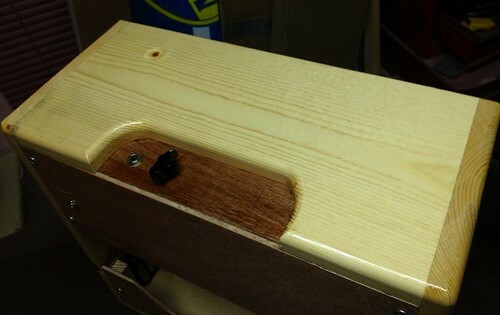 built the cab with a natural wood finish, clear coated with laquire. relisted on ebay, aution style started at 99.00 !! so if you had your eye on this get it while its hot only a 1 day auction. read the listing carefully to know the details.